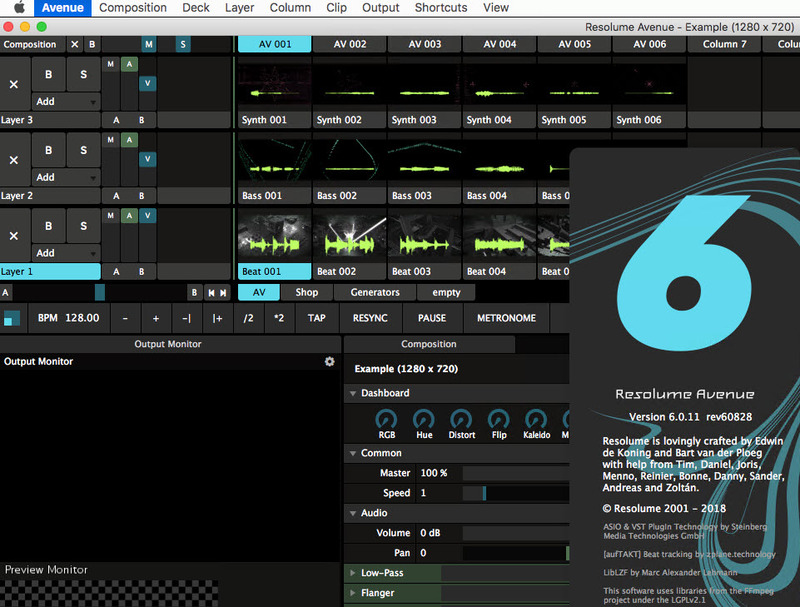 Resolume Avenue 6.0.11 MacOS|ABC素材网|百度云网盘|下载|破解|uploaded|nitroflare|Crack,注册,KeyGen - Powered by Discuz!
? You configure every layer to automatically start the first clip when the composition has loaded. This is very handy for installations where Resolume needs to start playing clips automatically in combination with the Auto Pilot.
? Ignore Column Trigger, prevents clip from being triggered when the column triggers are used.
? Scale to Fit button for clip now cycles through 4 modes, first it will scale taking into account ratio and fill to the hight or the width, then it will just match the composition size and the fourth time it's back to default, this also works when multiple clips are selected.
? Recent compositions menu for quick access to last opened compositions.
? New version of DXV Codec (2.2) compresses files faster by utilizing multiple processors.
? Invert checkbox for mouse mapped controls.
? Type ahead selection in File,Effect and Composition browser.
? Position of windowed output is remembered.
? Windowed output position can be changed with the arrow keys.
? Show Display Info (option in the menu to identify the different displays).
? Global Clip Start offset to compensate for clip trigger latency via MIDI or OSC.
? Tailored MIDI support for Akai APC Midi controller.
? Invert option for masks.
? Value editor popup for parameters.
? Ease in-out for all parameters.
? Drop effect directly on layer thumbnail.
? Drag file on video or audio track zone in clip properties panel to replace video or audio track without resetting parameters.
? Property panel sizes and layout is remembered.
? Windows 7 or XP: ATI Radeon 9600 or better. NVIDIA GeForce FX 5200 or better. 2GB RAM.
? Mac OSX 10.4.9 or later. Intel processor. Quartz Extreme graphics card (Resolume is not compatible with integrated Intel graphics processors). 2GB RAM.